The story behind this episode started with the high-profile heist in 1991 of a stained-glass window from the nineteenth century mausoleum of a New London industrialist. The window was designed by world-famous artist Louis Comfort Tiffany. But the thieves hadn’t counted on a persistent detective. Tiffany, best known for his brilliant innovations in glass, had deep Connecticut roots. A new permanent exhibition about his work, including 100 fine- and decorative-arts objects, is now on view at the Lyman Allyn Art Museum in New London. 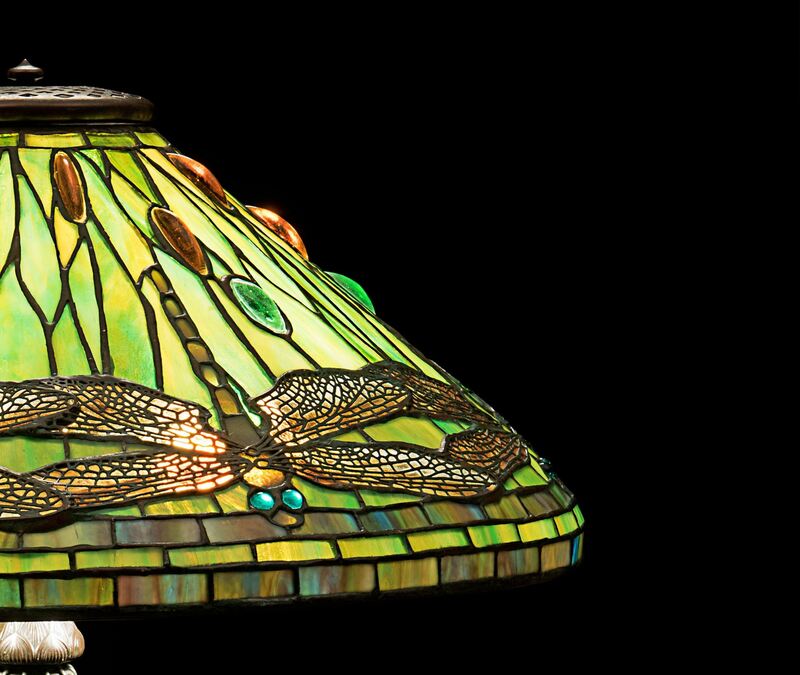 Join host Mary Donohue and curator Tanya Pohrt and museum director Sam Quigley to discover more about Tiffany’s career, his family ties to New London, and his life-long pursuit of beauty. To hear more episodes of Grating the Nutmeg subscribe on itunes, iHeartRadio, GooglePlay,, Sound Cloud or at gratingthenutmeg.libsyn.com. And for more great Connecticut history stories, subscribe to Connecticut Explored, the magazine of Connecticut history, at ctexplored.org. Through May 31, 2019, we’ve got a special offer for Grating the Nutmeg listeners. For just $20, you’ll receive 6 issues for the price of 4 with coupon code GTNSpring19. That’s 2 free issues added to a one-year subscription with coupon code GTNSpring19 when you subscribe by May 31, 2019.